Ayrshire Scotland Business News: It's the first jumps action of the 2012/13 season at Ayr Racecourse! It's the first jumps action of the 2012/13 season at Ayr Racecourse! AYR Racecourse launches its 2012-2013 jumps season this Saturday 3 November with the John Smith’s Raceday featuring seven races. This is the first of 10 jumps fixtures at the track over the next six and a half months with meetings also scheduled for January, February, March and April. Prize money for the season will be more than £750,000 – a rise of approximately 25% on the 2011-2012 campaign. 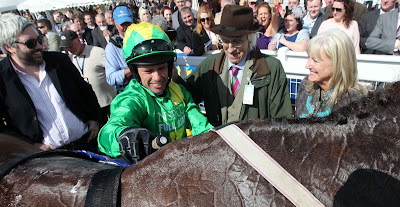 Ayr’s and indeed Scotland’s flagship jumps meeting, the Coral Scottish Grand National Festival, also received a boost with the news that the Scotty Brand Handicap Chase run on Saturday 20 April has been elevated to Class 1 and Listed Status. The Coral Scottish Grand National will have a total prize fund of around £200,000 and once again the afternoon’s action will be the principal meeting on the day to be broadcast by Channel 4 Racing with four live races being beamed from the track. From January 2013 Channel 4 will be the sole terrestrial television station showing live horse racing in the UK. 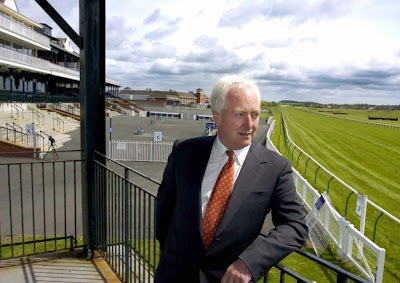 Ayr Racecourse chairman Alan Macdonald (pictured above) commented: “We always look forward to the jumps season here at Ayr with great anticipation. We have some wonderful fixtures culminating of course in the Coral Scottish Grand National Festival on 19 and 20 April next year. “National hunt racing in Scotland is in a healthy state with some of the finest trainers in the country including Lucinda Russell who is attempting to bear Lenny Lungo’s Scottish record of having trained 63 winners in a season. There are many other stalwarts including Jim Goldie, James Ewart, Andrew Parker, Nick Alexander and many, many more. Saturday’s action at Ayr begins at 1.00pm with The John Smith’s Maiden Hurdle and the feature race, due off at 3.20pm, is the £15,000 John Smith's No Nonsense Handicap Chase. Gates open at 11.00am. For more information on racing at Ayr go online at www.ayr-racecourse.co.uk or call 01292 264179.